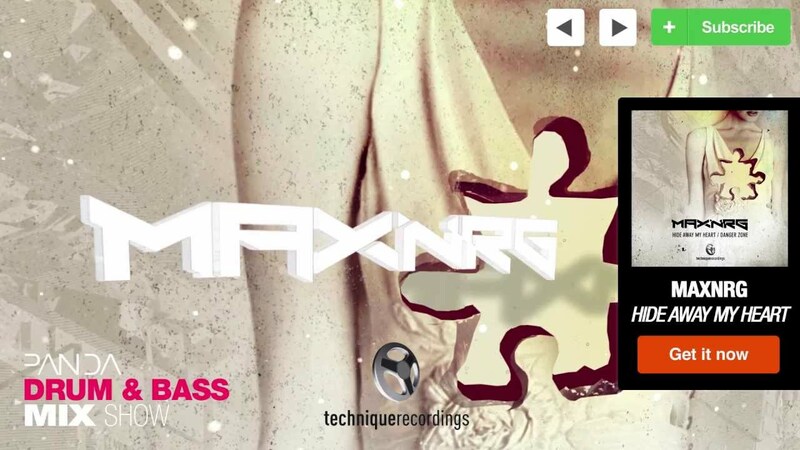 Panda presents Ukrainian drum and bass pioneer MaxNRG in the mix! Signed to Technique Recordings last year, and instantly proved his credentials to the UK scene. His debut EP, “Prometheus”, showed off a melodic sensibility that provides an ideal counterpoint to his tough beats and basslines, resulting in heavy radio and rave rotation. So, time to show off more of this flavour. And that flavour, as MaxNRG has already proved, has a lot to do with melody, which is at the top of the agenda for “Hide Away My Heart”. A sing-along refrain and cleverly interweaving riffs create the calm before the firestorm of the drop. An, proving the flexibility of this style, on top of the D&B mix, there’s a selection of other delivery systems for the payload. A Radio Mix, an Instrumental Mix, a savage Dubstep Mix and even a electro-plosive House Mix, proving that, whatever your flavour, MaxNRG’s style can get you hyped. This flavour’s all about melody, but that’s not the end of the story. “Danger Zone” flips the musicality into another dimension. Now, it’s deployed to create an unsettling horror-movie landscape, populated by tormented samples, before filtered beats and a gravelly bassline slowly move into view. On the face of it, this is a simple, if dark-hued roller, but as the tune progresses, sounds become modulated beyond your wildest expectations to draw you further into this paradigm. If you don’t know about MaxNRG yet, then you’d better not miss out on this release. In these two tracks, he’s shown that his style can encompass both the light and the darkness, making his output vital parts of any selector’s armoury.